Criminal Justice Coordinating Committees (CJCCs) are the forum through which elected and appointed executive-level policymakers in local jurisdictions, and sometimes states, convene to collaboratively address issues facing the justice system and its constituent agencies. 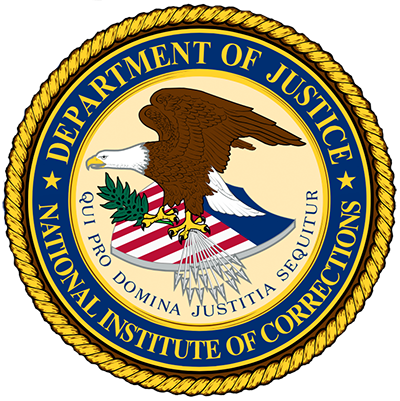 These committees, also called councils or boards, typically have staff support from one or more criminal justice planners and often use a data-guided and structured planning process to identify, analyze, and solve or manage system issues, such as jail crowding, resource reductions, case processing inefficiencies, sub-par outcomes, and challenging client populations, such as those with mental illness or substance abuse. 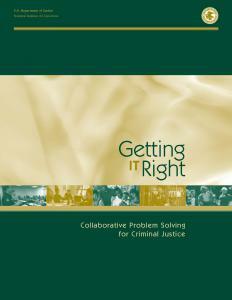 The National Institute of Corrections (NIC) created this web page to provide up-to-date resources to CJCC members, the criminal justice planners who work for CJCCs, and for other system stakeholders who are interested in establishing or improving their CJCC and system-level problem-solving and management capabilities. Please check out the multitude of information and various links on this page! Justice Coordination is to provide a high level of research and development expertise, including monitoring and evaluation of present and future justice programs within Pinellas County to insure that the citizens of Pinellas receive the highest quality justice and public safety services for the resources provided. The Multnomah County Local Public Safety Coordinating Council (LPSCC) was established by Senate Bill 1145 (1995) to coordinate local criminal justice policy among affected criminal justice entities. To carry out this mission, LPSCC's Executive Committee, co-chaired by Portland Mayor Ted Wheeler and Multnomah County Chair Deborah Kafoury, holds monthly meetings to encourage the active participation of countywide leadership, to foster close collaboration in the development and operation of public safety operations and policies and to promote coordinated, data-driven public safety operations and policies. The Executive Committee also directs the work of several subcommittees, working groups, and affiliated committees that focus on key issues within the public safety system. LPSCC holds an annual What Works in Public Safety conference to bring together state and regional policy makers to provide them with information on best practices to guide their decision making. This website makes available many of the reports, plans, and documents produced by or distributed to LPSCC members. These include annual reports, reports by subcommittees to the Executive Committee, and reports from outside agencies to the Executive committee. Working collaboratively to ensure a fair, efficient, and effective justice system that enhances public safety and quality of life in our community. The McLean County Criminal Justice Coordinating Council (CJCC) fosters collaboration and communication between criminal justice agencies and partners who educate, inform, and explore best practices together to continually improve the administration of justice. Our charge is to provide fair and just outcomes, improve public safety, reduce recidivism, and responsibly use resources for the benefit of McLean County residents. The Criminal Justice Commission is responsible for criminal justice and public safety planning, research, and system-wide coordination and collaboration. The 27-member Commission Board is comprised of key local, state, and federal criminal justice and public safety representatives, metro government officials, as well as citizens representing the community. Established in December 1967, the Louisville Metro Criminal Justice Commission has been in continuous operation for more than 46 years, making it one of the oldest criminal justice planning agencies in the country. Previously known as the "Crime Commission", its name was changed in April 2003 to the Criminal Justice Commission to better reflect its expanded comprehensive mission which focuses on not only criminal justice matters, but public safety issues as well. The benefits of effective planning are numerous and include improvements in coordination and cooperation; a multidisciplinary analysis of criminal justice and public safety issues, programs, and services; and an evaluation of the overall quality of justice. In addition, comprehensive planning provides more effective allocation of resources, the establishment of clear goals, objectives, and priorities, and ultimately results in enhanced service and increased public confidence in the system. Through its planning and coordination role, the Commission Board and staff attempt to support the local system's ability to administer justice and public safety in a cost-effective, equitable, and efficient manner. Most importantly, the Commission has provided the community with an impartial forum for discussing pressing issues, most of which require a systemic and coordinated approach to effect change. Coordinated approaches cannot occur without this neutral forum that allows agencies to work together to create solutions. These solutions are formulated into policy decisions that complement the systemic efforts of the whole. The mission of the Criminal Justice Commission is to improve the administration of justice and promote public safety through planning, research, education, and system-wide coordination of criminal justice and public safety initiatives. The Criminal Justice Coordinating Committee (CJCC) is a regular forum where city and county policymakers meet to discuss issues and initiatives that require cooperation across jurisdictional lines and among many parts of the criminal justice system. It was established in 1986. The Criminal Justice Coordinating Council is a county wide collaboration between county, municipal and state criminal justice agencies and departments, treatment providers, administrative departments and concerned citizens to address issues and needs arising within the criminal justice system in Coconino County. The Justice Coordinating Committee was established in 2007 to allow ongoing dialogue among justice agencies, units of local government and other organizations. The purpose of the Justice Coordinating Committee is to bring these justice system stakeholders together to identify bottlenecks, work collaboratively on solutions and improve the efficiency of the justice system. The list below includes many of the fields that may be useful in a jail population analysis to help policymakers determine the average daily population, number of bookings, and/or average length of stay of various inmate subpopulations, as these policy-makers participate in the analysis phase of a policy planning process. The purpose of this Excel workbook is to graphically demonstrate a very common but often misunderstood dynamic that exists in most jails in the United States. 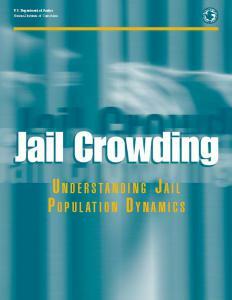 In most jurisdictions, there is a tendency for justice system decision-makers (including jail staff), in their attempts to lower the jail population because of crowding, to focus their attention on the high volume of inmates who are booked into the jail. However, even though a high volume of inmates of a certain type (e.g., persons charged with low-level traffic or misdemeanor crimes) are admitted, they almost always do not consume many jail beds because of their short length of stay. Additionally, most jails experience the much less frequent booking of certain types of inmates who stay for a very long time (e.g., 91+ days). This latter group of inmates often goes relatively unnoticed by jail staff because not many of these inmates are processed through the jail. 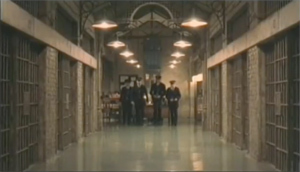 However, these inmates occupy the majority of jail beds on a daily basis, and thus contribute the most to jail crowding.